Designer suggestions add 'wow'’ to project. 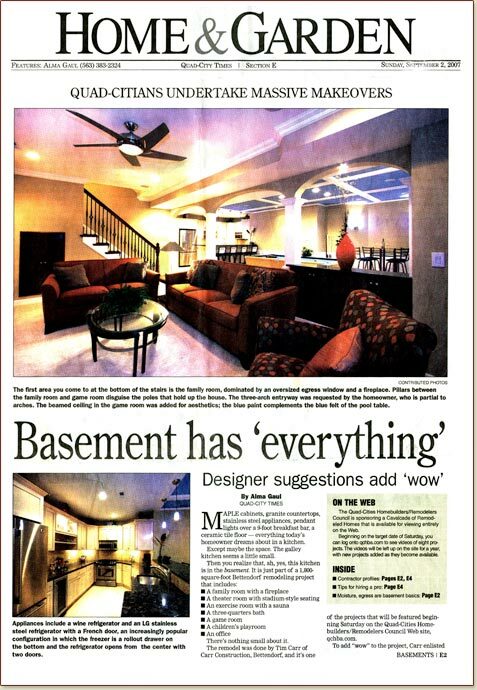 To add "wow" to the project, Carr enlisted Davia Galllup of Homefront Interiors in Davenport. "The client wanted 'wow' in every room," he says. "I wasn't giving them enough 'wow.'" The use of design services is becoming more common in upscale projects."